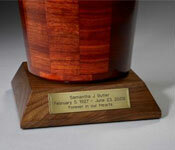 As beautiful as a water lily, the Lily Blue cremation urn is a calming celebration of life for a family member or pet. 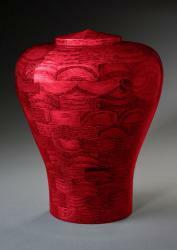 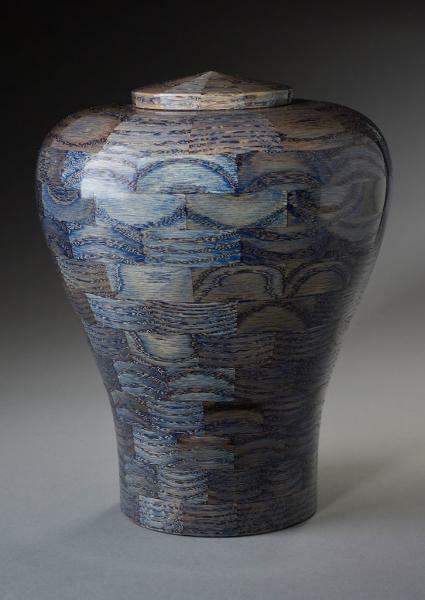 Steve Shannon handcrafts the wooden urn with Oak segments that are hand turned and dyed a tranquil blue. The natural-looking blue color draws out the unique wood grain patterns in each piece of oak, which give the impression of soothing waves. 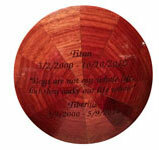 The Lily Blue is available in small, large, and keepsake sizes.